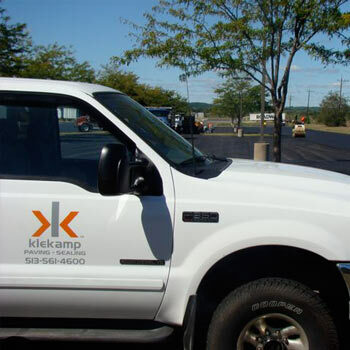 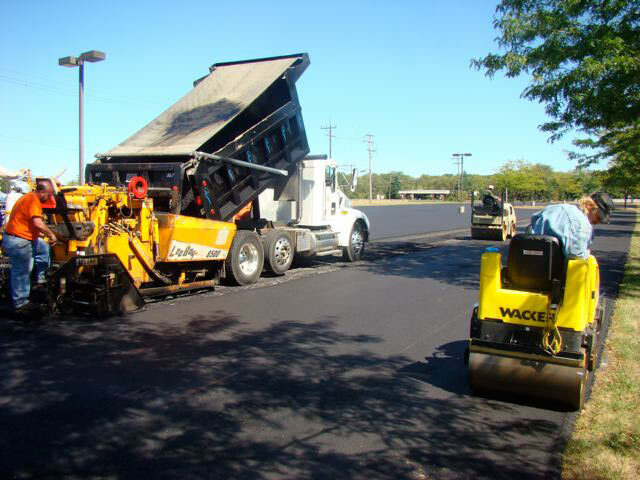 Asphalt Overlay (also known as Asphalt Resurfacing) is typically needed when the life of your asphalt pavement has reached 15 to 20 years of age. 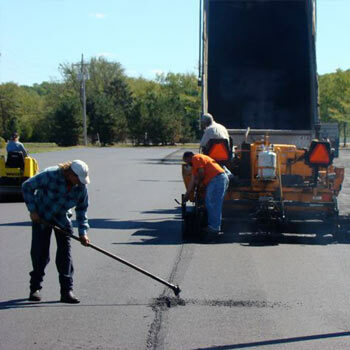 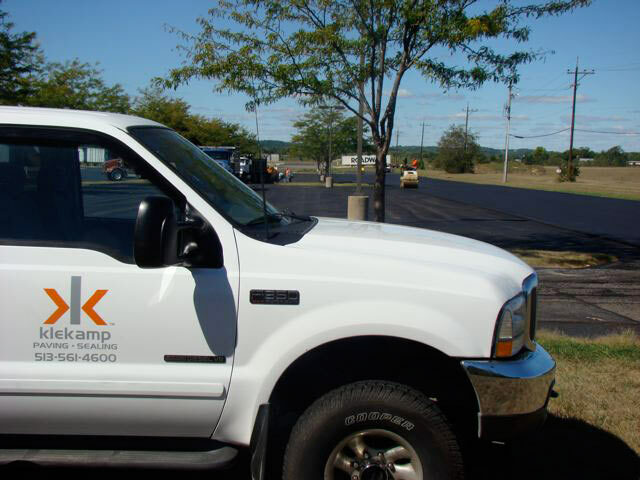 This can be as easy as bringing our skilled paving crew, equipment and trucks full of the new asphalt to your parking lot to begin the work; however, some prep work may be required. 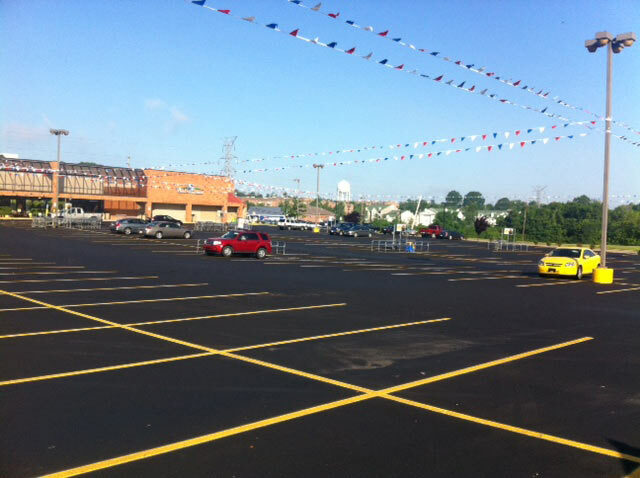 The current condition of the existing asphalt parking lot will determine the type of prep work needed. 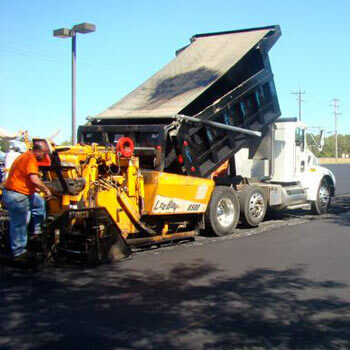 First we must grind transitions at all parking lot entrances, sidewalk ramps, building entrances, dumpster pads & anything else that the new asphalt will need to meet flush. 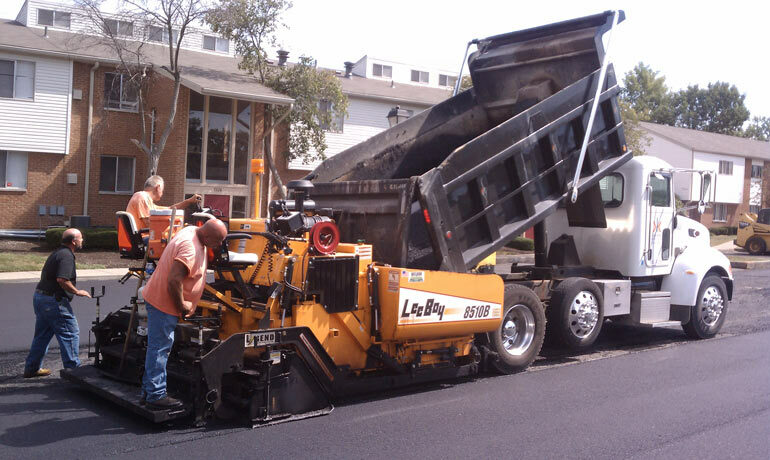 To grind a transition in the asphalt, we use a small asphalt planer to grind the pavement for these transitions. 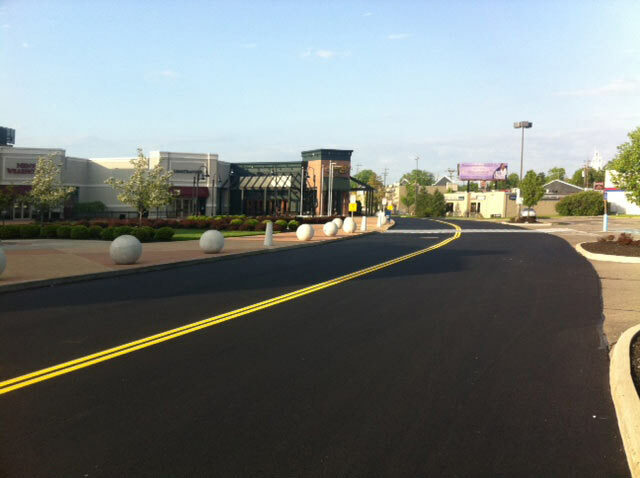 This will prevent the new pavement from creating a bump or trip hazard for your employees and/or customers. 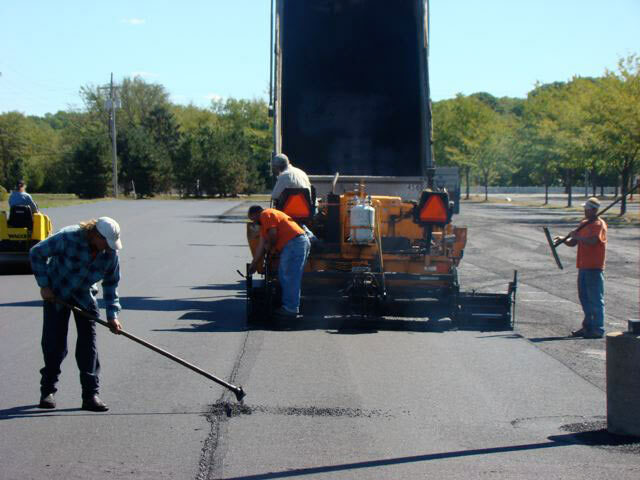 Some asphalt repairs/patching may be required depending upon the condition of the existing asphalt parking lot. 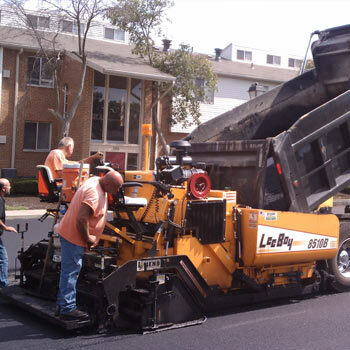 If there are spider web cracked areas or other failed areas in the asphalt, patching will be recommended to prevent failure in the new asphalt. 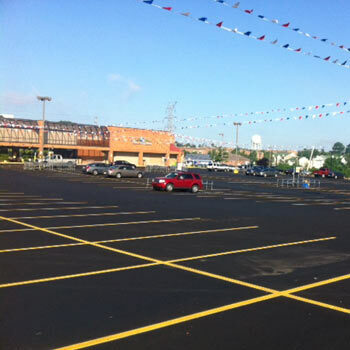 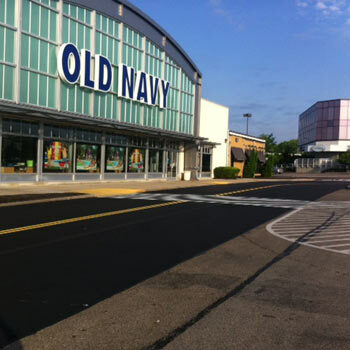 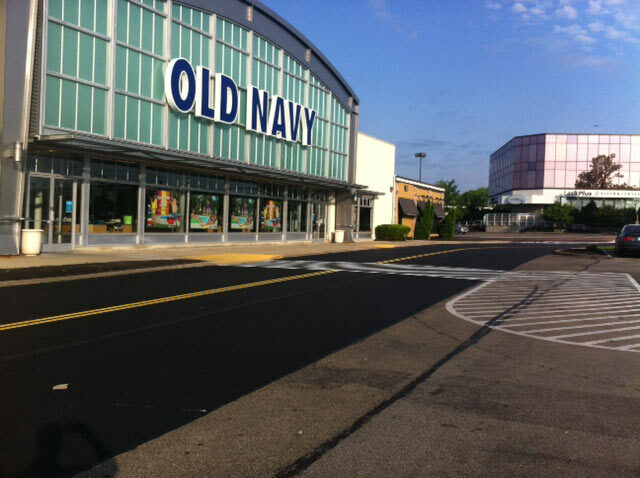 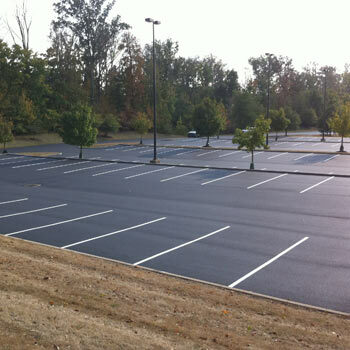 When an area is not patched properly, or not patched at all, before overlaying the existing asphalt parking lot, you are likely to see reflective cracking or premature failure. 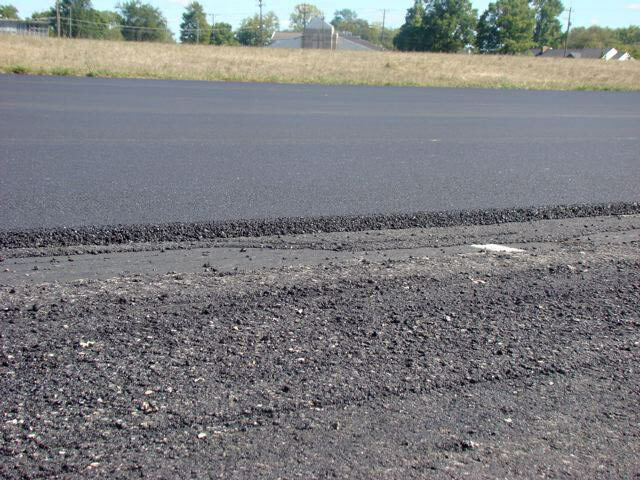 This will be explained more in the commercial asphalt patching page but a good rule of thumb is that your asphalt is only as good as what’s beneath it. 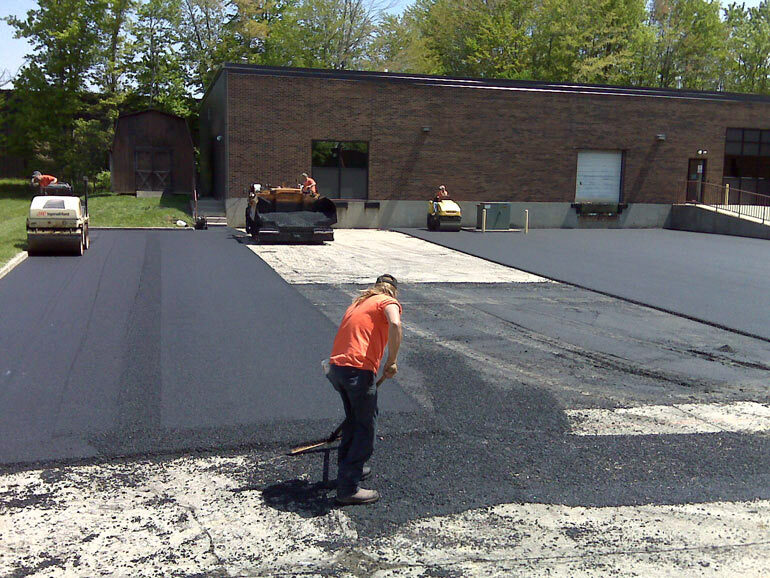 A few other things to keep in mind, when overlaying your existing asphalt parking lot, are the drainage and phasing of the work. 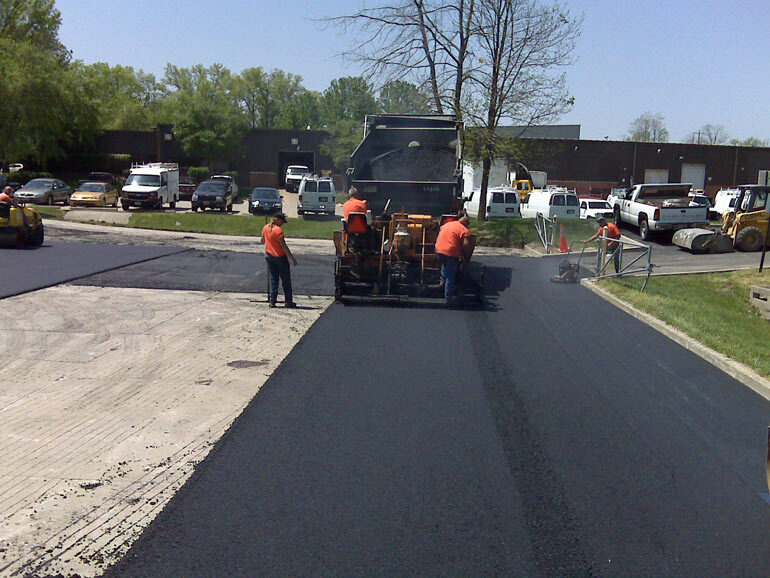 Some asphalt parking lots may require certain areas or the entire area of pavement to be milled/grinded down 2” to ensure proper water drainage. 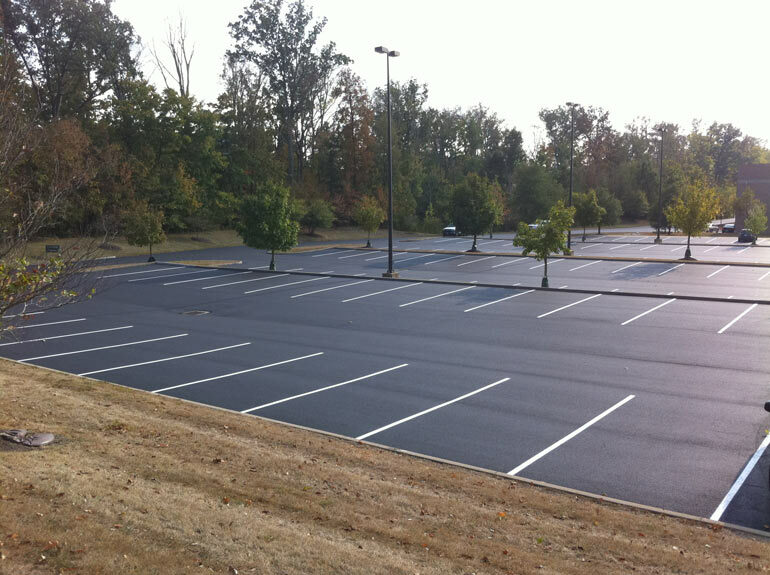 Essentially when you are overlaying your asphalt parking lot, you will be modifying the existing elevation. 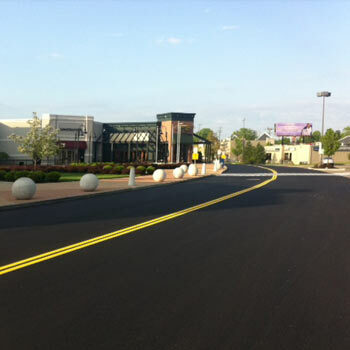 The pavement is designed to sheet drain to one side or to a storm drainage system located under the parking lot. 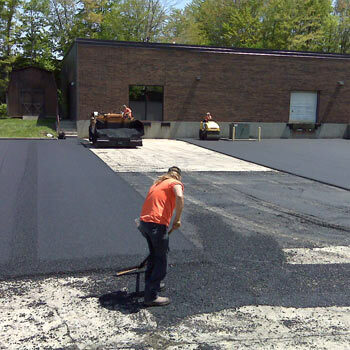 To make sure the water goes as designed there may be some milling/grinding that is required. 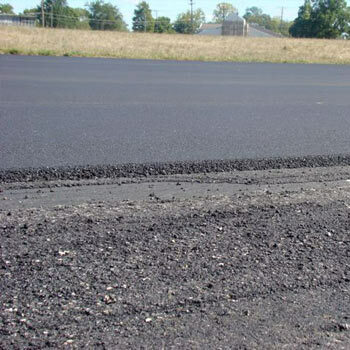 These are not items you will have to worry about as it is our job to make your life easy. 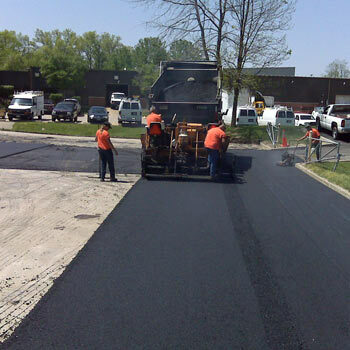 We will ensure that the job is done properly and minimize inconvenience to the customer.